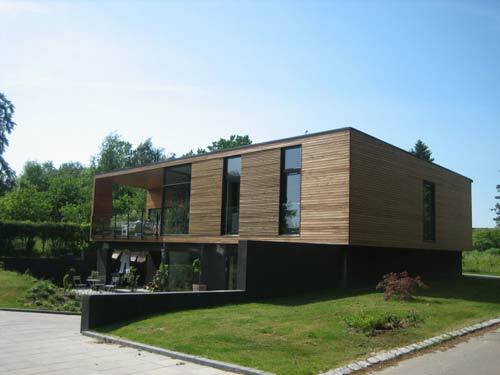 This pre assembled house (Denmark) was created with the ambition of designing a quality building at an affordable price. 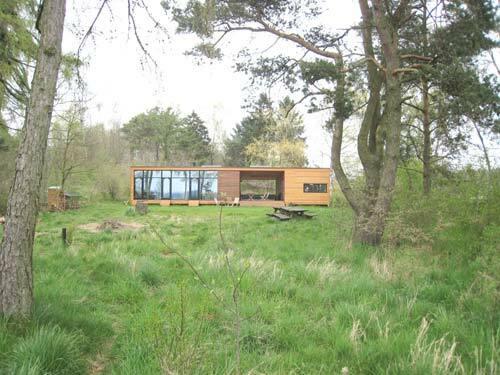 The prefab house is in several different variations which have the basic floor plan design to reduce costs. The building has a kitchen with installed furniture, utility room, bathroom and large room which can be divided into two spaces, and in addition a large living room and roof terrace.